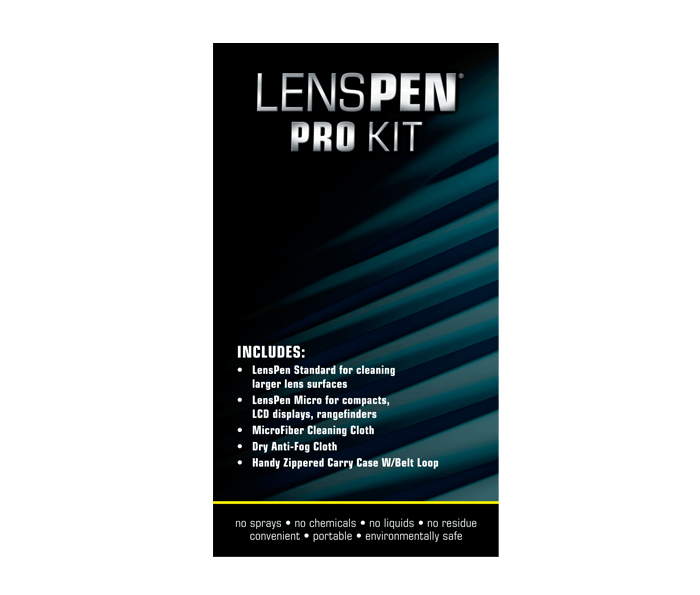 Nikon LensPen Pro Kit includes two sizes of LensPens, plus an anti-fog cloth and a micro fiber cloth. A soft, retractable brush (in two sizes): Sweeps away dust and dirt. Anti-fog cloth: Utilizes a breakthrough dry compound that stops condensation from forming on lens surfaces. Micro fiber cloth: Made of soft micro-fibers, this is the perfect way to safely maintain and clean your lenses, camera and binocular optics.